The Tree Doctor: A Guide to Tree Care and Maintenance (2017) by Daniel Prendergast (arborist for the City of Mississauga) and Erin Prendergast (chief of staff at the Art Gallery of Ontario), provides tree owners with a short and sweet manual about trees. Daniel Prendergast has been a practicing arborist for 20 years and is a certified member of the International Society of Arboriculture. Although the authors live and work in Southern Ontario, many of the concepts covered are applicable to a wider audience. 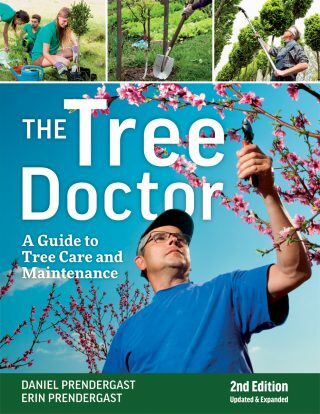 Written from the perspective of an arborist, the text shines in terms of information about tree care and maintenance, including information about tree identification, tips regarding what makes a good city tree, proper planting and pruning techniques, and how to get the most value from one’s trees. However, this work is not the greatest resource in terms of selecting a tree. Botanical names are omitted entirely and several known invasive/problematic species are recommended for planting. 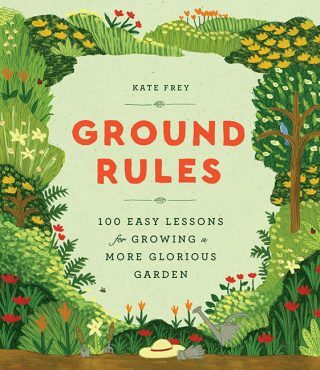 This is especially puzzling as the book includes a section devoted to problem herbaceous invasives. All in all, The Tree Doctor is a handy reference for readers new to tree care who aren’t looking for advice on what trees to plant.